Announcement DohlHouseDesigns :: Custom Printables and Digital Files for DIY Parties! 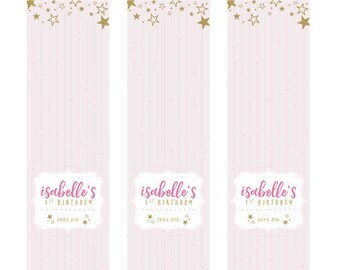 We are a custom design shop with printable digital files for all your party needs like birthday parties, Korean 1st birthdays (dohls, dols), baby showers, weddings, and other events. If there isn't a design you like on my site please do not hesitate to inquire a custom designed event. We will be more than happy to work with you on making your event perfect to fit your needs. If you have a special theme or color scheme in mind, we can make it happen. TURNAROUND ON CUSTOM ORDERS: within 24-48hrs during shop hours unless you are requesting a new custom design we do not offer on the site. NOTE: All items in my shop are for **DIGITAL FILES ONLY** (no actual printed products) unless otherwise noted. Please read the details for each item before purchasing or message me beforehand. All Customized items will be emailed. Instant Download items are in your Etsy account > Purchases (on desktop browser only). TERMS AND CONDITIONS: Please note that all custom graphics will and maybe used and displays on our various social media sites as a featured item or resale template. Please specify if you would like to keep any parts of your graphic private. Thank you! Get the latest news and promos from DohlHouseDesigns! DohlHouseDesigns :: Custom Printables and Digital Files for DIY Parties! This seller worked with me diligently to perfect the invitation for my wedding that I had in mind! Good stuff. Didn't really work out for me though. Helping to create a lasting memory for your special event! Welcome to DohlHouseDesigns! We are a graphic design shop that creates custom paper goods for parties and events. All items are completely customizable, so please don't hesitate to inquire! Hi my name is Hae-Jean Kim and I am a web and graphic designer. I love making things beautiful with my designs! 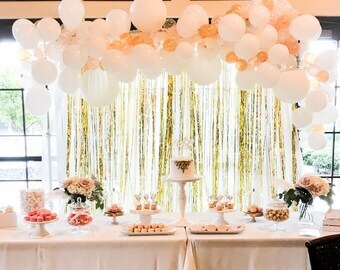 Crafting the details of an event is what makes it so special and memorable!